When Is Knabenschiessen 2019 in Zurich? Knabenschiessen is a traditional shooting competition in Zurich, Switzerland. It generally begins on the Saturday before the Federal Fast and lasts until the following Monday. Is Knabenschiessen a Public Holiday? Knabenschiessen is not a public holiday. It falls on Saturday, September 7, 2019 and most businesses follow regular Saturday opening hours in Switzerland. Practicing is important before Knabenschiessen. The German word Knabe means “boy” and betrays the fact that traditionally only male contestants were admitted. However, with dwindling numbers of participants that monopoly was abolished in 1991 - and 1997 saw the first female winner. Every year about 5000 boys and girls aged 13 to 17 take part in the Knabenschiessen shooting competition. The contestant with the highest score is called Schützenkönig, which literally means “king of marksmen”. Nowadays, the occasion has evolved from a contest to a folk festival including fun fairs (Chilbi) offering spectacular rides and food stands. Knabenschiessen is not an official holiday in Zurich. However, many businesses may close or have reduced opening hours on the last day of the festival period (Monday). Schools generally close on that day. 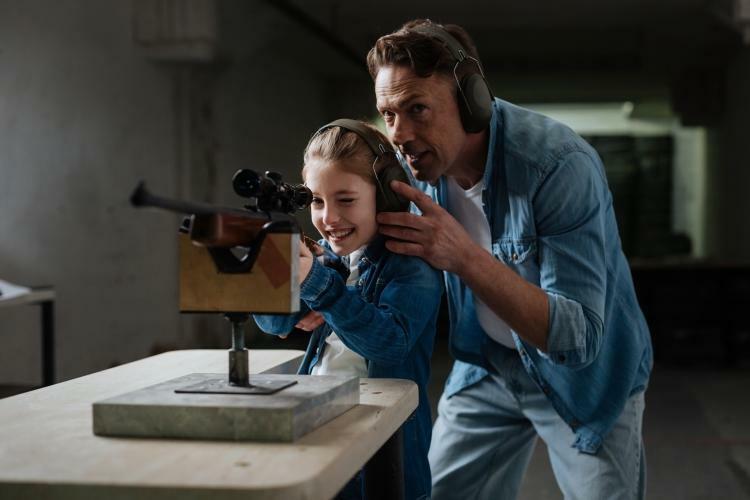 The Knabenschiessen shooting competition has been organized by Zurich's marksmen club (Schützengesellschaft) since 1898. The initial objective was to inspire the city's youth to join the Swiss army. Female contestants were first admitted to the competition as late as 1991. In 1997, 15 year old Rachel Goldschmid became the first girl to win the contest.